Bunji is finally ready to be adopted out! I’ve fostered Bunji for a few months now and I feel like she’s already part of the family. She is extremely energetic and friendly. Some bunnies are notoriously shy towards humans but Bunji is the complete opposite. She craves attention from us, especially hugs and kisses. Though currently she’s a single, I believe she would make for a wonderful mate with another bunny – preferably one that’s equally as energetic and loving towards humans. Comments Off on NEED Foster Homes!!! With the recent stray captures and of course bunnies coming in from surrounding shelters, we are in desperate need of foster homes or even temporary foster homes! If you can open your home up to a furry for a short period of time, we’d love to talk to you. We are located in the MA/NH and now VT area. If you’re in any of these areas, please email or call us! The bunnies NEED YOU! And what’s better than helping a fuzzball during the holidays? UPDATE 12/2/09: Walnut has been Adopted!!! Two of our newest foster buns are Walnut and Clovis. Clovis was surrendered to an area veterinarian when his family decided that they no longer had time for him… after 8 years!!! How sad! But being 8 years old has not slowed him down. He’s a neutered bun that has good litter box habits and loves to be petted endlessly. He’ll smush right down once you start and he’ll stay there for as long as your hand keeps on going. He can be a bit cage possessive, which is why we think an exercise pen would be the best set-up for Clovis. He really just wants a human or two to love him. He deserves it after all these years. Walnut was found wandering in the back yard of veterinary tech’s home. She was able to catch him without a problem. 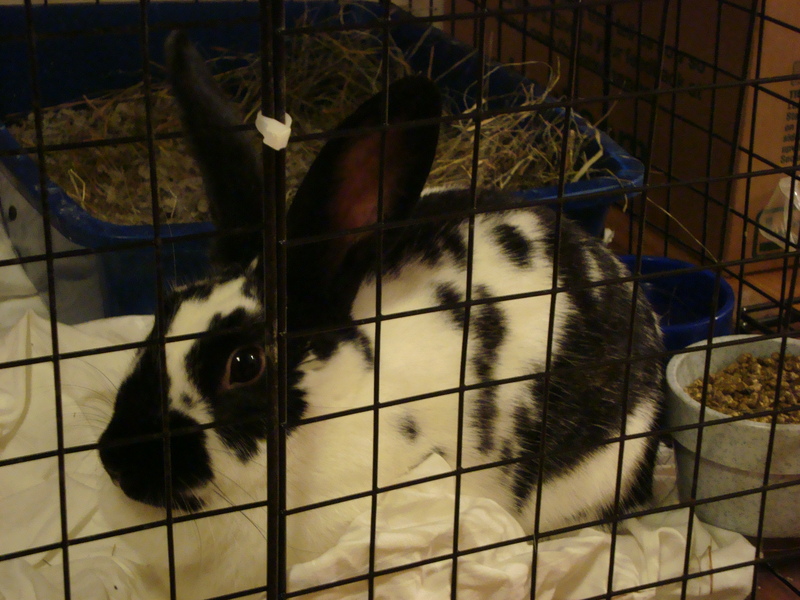 Walnut is a younger bun (neutered), estimated to be about 1-2 years old and a total love! His beautiful brownish-tan coloring is oh-so-soft too. He’s pretty laid back, affectionate and has great box habits. 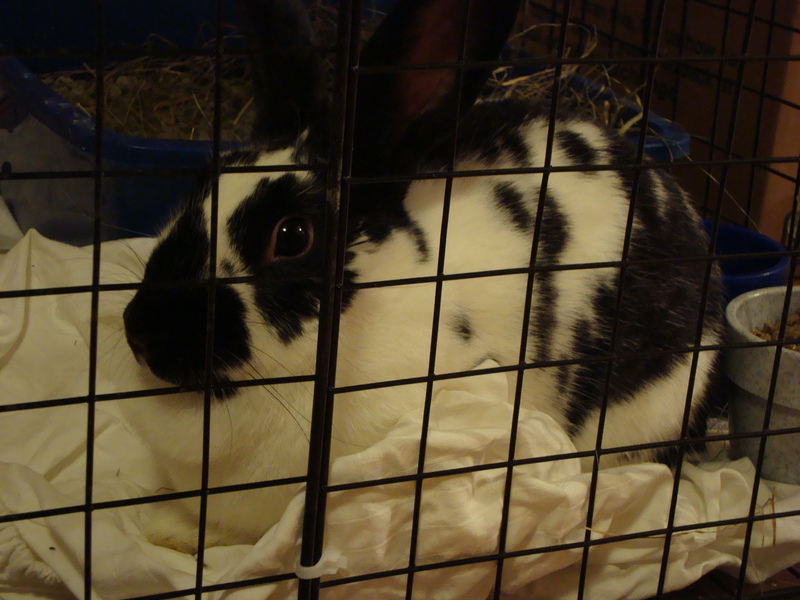 Walnut too, is just looking for a human to love him and provide him with a wonderful indoor home, like every bun deserves. If you are interested in either bun, please call the Hotline at 781.431.1211. We’d love to hear from you! Update: Henrietta… Spoiled as can be! Henrietta came into HRN care in September of 2006. She was finally adopted out to a nice family in 2007. They have kept in touch with us and absolutely love Henrietta to pieces. And you can see by the photos just how spoiled she is! Nice plush carpet to relax on and big NIC Condo to sprawl out in. If only every bunny had this life! As Henrietta’s mom tells us, “…yes she gets gifts at Christmas too. My daughter has an 11′ x 17′ room and that side is Henreitta’s!!! !” As I said, spoiled as can be. And HRN couldn’t be happier for her!